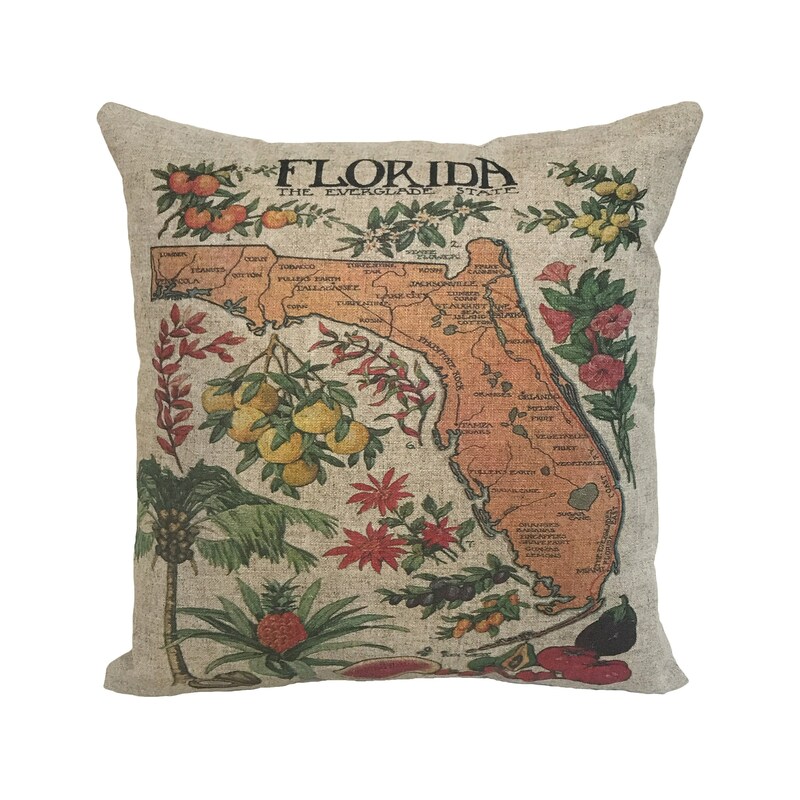 Citrus Florida Map Linen Throw Pillow 15" x 15"
This pillow is handmade with natural linen fabric. The fabric for this pillow is carefully printed in our studio located in Gibsonton, Florida. The back of this pillow reverses to solid natural linen with a zipper enclosure.